Love Gin? Get to Gin Fields at The High Field Edgbaston, Saturday 13th August. Could gin be the drink of connoisseurs? On the rocks, with a slosh of tonic or as part of a perfect martini, gin is the ideal Sunner drink. That clear liquor, the backbone of these irreplaceable drinks and others in between. The High Field in Edgbaston is staging a fabulous festival for the grown-ups that’s all about celebrating the great drink that is gin. 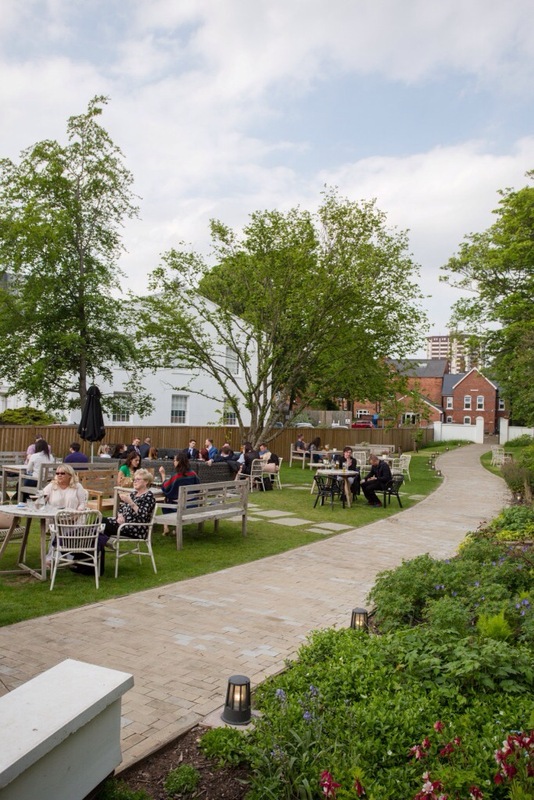 So if you do love a refreshing gin cocktail or classic gin and tonic and want to learn a bit more about this great English tipple in the glorious surroundings of a gorgeous city gastropub garden? Then get to The High Field in Edgbaston on Saturday 13th August for Gin Fields. Gin Fields is a fabulous festival for the grown-ups that’s all about celebrating the great drink that is gin. The entire afternoon and evening will be dedicated to it, and there’ll be oodles of ways to try Mother’s Ruin as well as discovering things you never knew about gin. Sidle up to the big outside bar and take a peak at the fantastic selection of premium gins on offer. There’ll be favourites from the High Field’s list like Brockmans, Hendrick’s and Whitley Neill as well as a few special guest appearances from some rare and unusual gins. Look out for Salcombe Gin, a smooth and delicious gin handcrafted in Devon using 13 different botanicals, the finest English wheat spirit and pure Dartmoor water and Brilliant Gin, a delicately flavoured artisan small batch spirit, alongside William Chase GB and Big Boss Gin. Expert gin makers from some of these top distillers will also be on hand to share their love of gin and chat to you about its heritage, character and flavour, and then it will be down to the serious business of tasting. Sip on a refreshing gin and elderflower slush puppy or a fruity gin bramble or shake things up with a sensational gin and pink grapefruit. Cool down with a Jude’s G&T ice cream and lollies from Birmingham newcomers Creamed Pops. There will also be the ultimate G&T as well as cocktails galore. Listen to sounds from the DJ who will be spinning the decks all afternoon and pick something tasty from the BBQ to go with your gin. 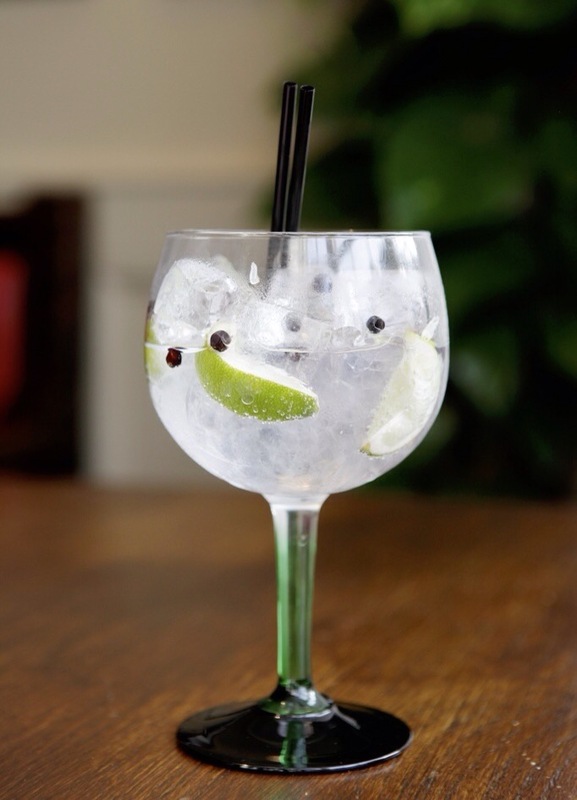 “We’ve all got a soft spot for gin here at The High Field and our grand gins always slip down a treat,” says The High Field’s general manager, Sarah Robinson. “But this time we’re making it really special by turning our whole garden into a celebration of the drink. Whether you fancy a drink that’s long or short, refreshing or sweet, gin is just great and we look forward to mixing you the perfect one at Gin Fields,” she says. Tickets for Gin Fields at The High Field cost £10 and are only available on the door on the day, Saturday 13th August, from 2pm. Entry fee includes a G&T on arrival, gin tasters and a keepsake Grand Gin glass for mixing the perfect gin at home. Gin Fields ends at 6pm and will be held indoors in the event of rain. Driving after Gin Fields is definitely NOT an option so it you fancy making a night of it, why not book one of the comfy rooms at The High Field Town House right next door? Above Photos courtesy of The High Field with thanks.